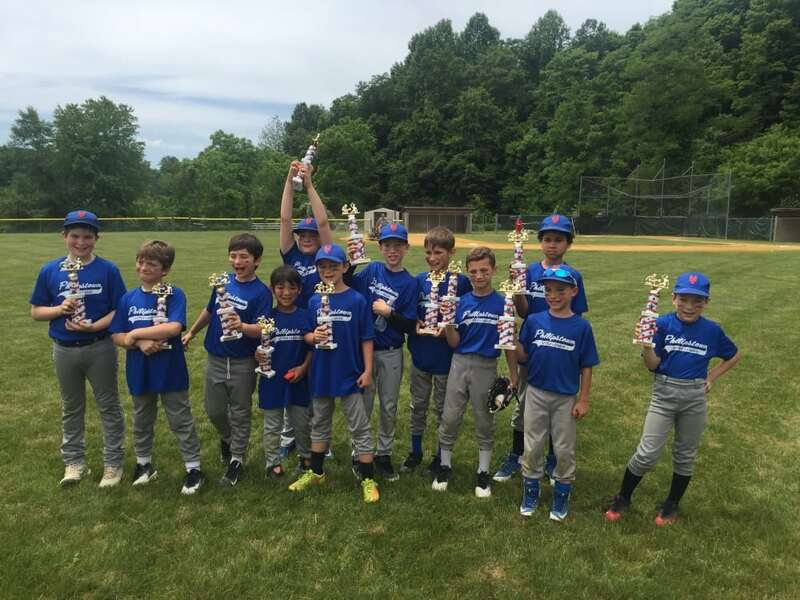 The Philipstown Vikings (U9 boys) on June 10 faced the team that defeated them at home to start the season, the Yorktown Titans. In the first half, the Vikings overwhelmed the home team with strong ball control, accurate passing and quick attacks. The Vikings struck early when center Elias Moran drove a ball into the Titans goal. Then, right wing Parker Larsen brought the ball upfield and – instead of centering it – unleashed a shot at an impossible angle to score. Darwin Saquipay added a goal of his own to give the Vikings a 3-0 advantage at the half. The second half, however, belonged to the Titans who played with a vigor and determination not present earlier. With remarkable defensive contributions from Joseph DeMarco and Oliver Choi, the Vikings repelled most forays by the Titans and goalie Patrick Shields skillfully stopped several attempts. But, the Titans capitalized on a handful of possessions to score three times and level the match at 3-3. The Vikings are 4-1-2 and end their season with at Wallkill on June 16. The U16 Philipstown Chargers continued their winning ways on June 10 versus the Beekman Strikers at Lagrangeville. The Chargers started strong, maintaining possession from the opening whistle. Five minutes into the game, stopper Jesse Sherman dribbled through several Beekman defenders and blasted a shot from outside the 18-yard line into the corner of the Beekman net, putting the Chargers up 1-0. The rest of the Chargers defense stepped up to keep the Strikers away from keeper Chris O’Donnell, who only had to make a handful of saves the entire game. Defenders Ben Strol, Quinn Petkus, Zack Maher, and Collin Eng-Wong were able to keep the opponents at bay, and allowed the Chargers offense to create many opportunities. After the half, the Chargers got on the board again when middie Kyle Mayo took the ball through the Beekman defense and had a blast of his own into the corner of the Strikers net, making the score 2-0 Chargers. Philipstown played even stronger in the 2nd half, with the midfield of Frank Bentowski, Gabe Dabkowski, Dominic Farina, Alek Maasik and Luke Wimer making many great overlapping runs and shots on goal. The strikers Luke Hammond and Will Stark were running all over the Beekman defense and winning possession. Wimer had a few strong shots that barely missed, and also struck the post. On a corner kick from Dabkowski, the Chargers crashed the net and Maasik was in the middle of a scrum to tap a pass to the far corner of the net where Farina was waiting to knock-in the Chargers third goal of the day. The Chargers put forward a solid team effort for the 3-0 win. They faced Hyde Park in the final game of the spring season on June 17 at Haldane.